Jacob is a wild one! 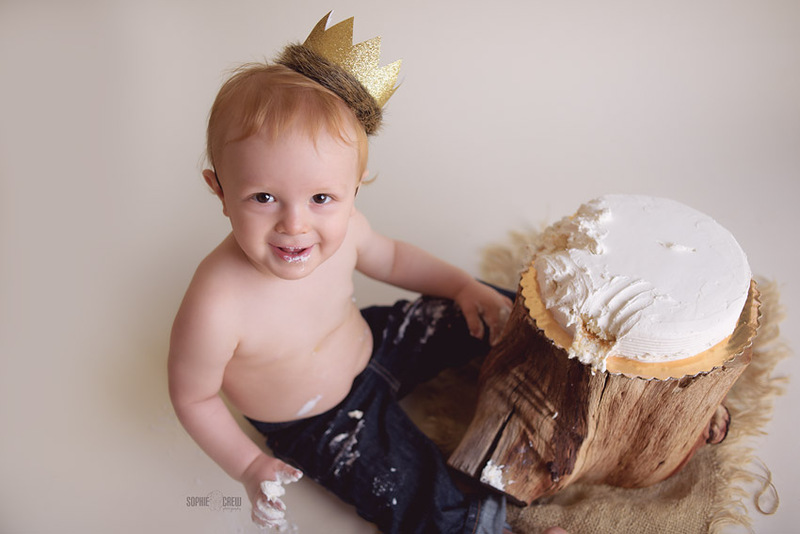 A ‘where the wild things are’ themed cake smash! My goodness, we had a WILD time for sweet Jacob’s first birthday cake smash session in the studio! 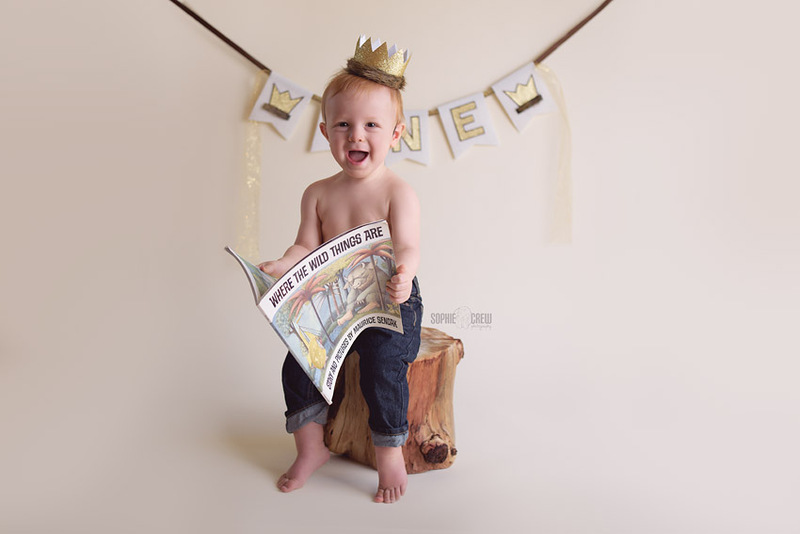 I can’t believe it has already been one year since I photographed him for his newborn session… and this year, we’re already celebrating his first birthday with a Where the Wild Things Are themed cake smash! 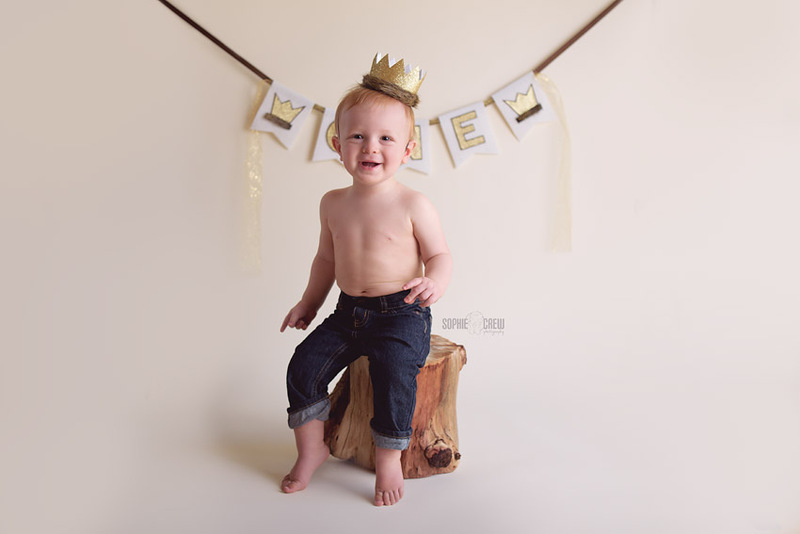 Jacob is such a sweet boy – all smiles and charm for his session! I have known his mama since my High School teaching years – she taught Spanish and I taught French. We instantly became friends and even brought our students on a two week trip to France one summer! 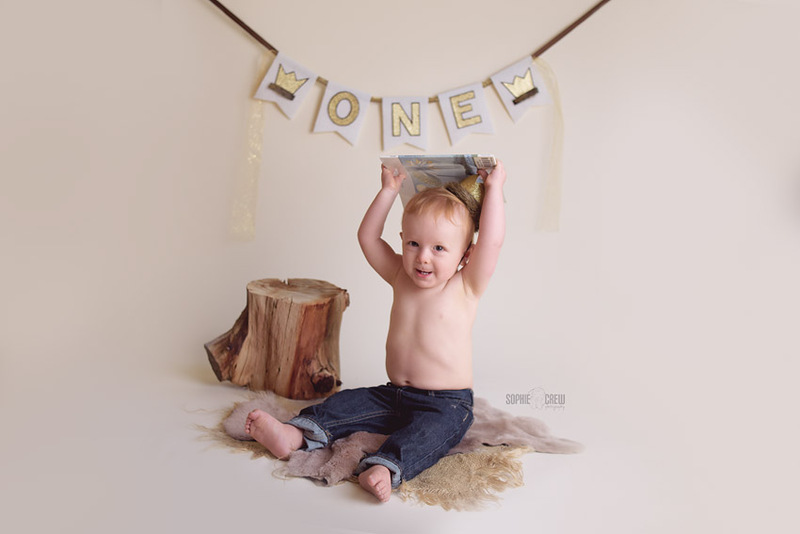 I’ve been so lucky to be able to follow her in her adventures in mommy-hood for the past year! 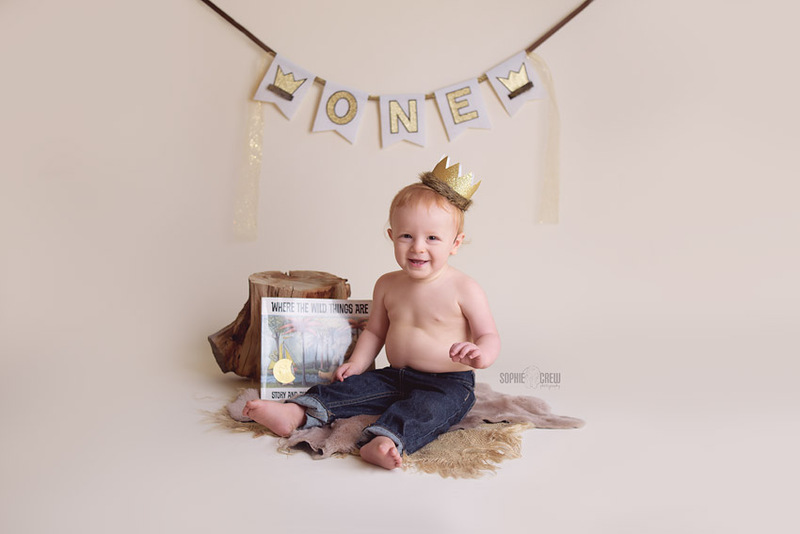 I loved setting his session up. 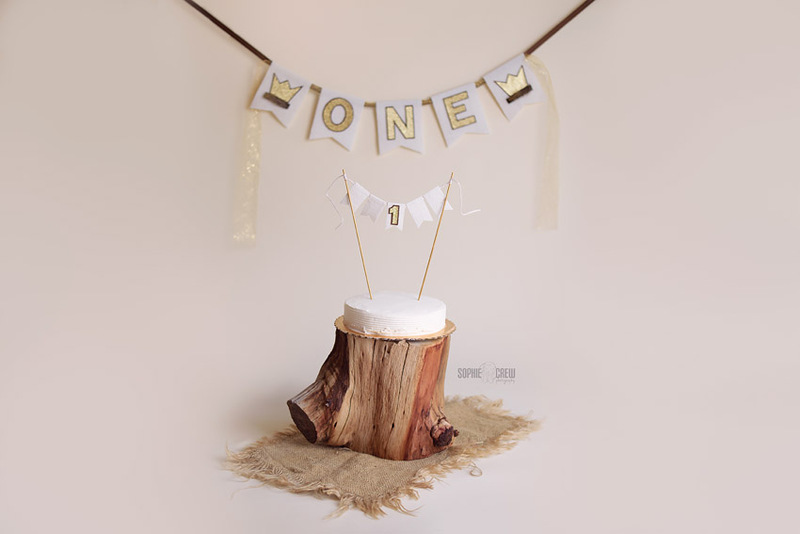 The banner, cake banner and awesome furry crown were all custom made by an amazing Etsy artist. 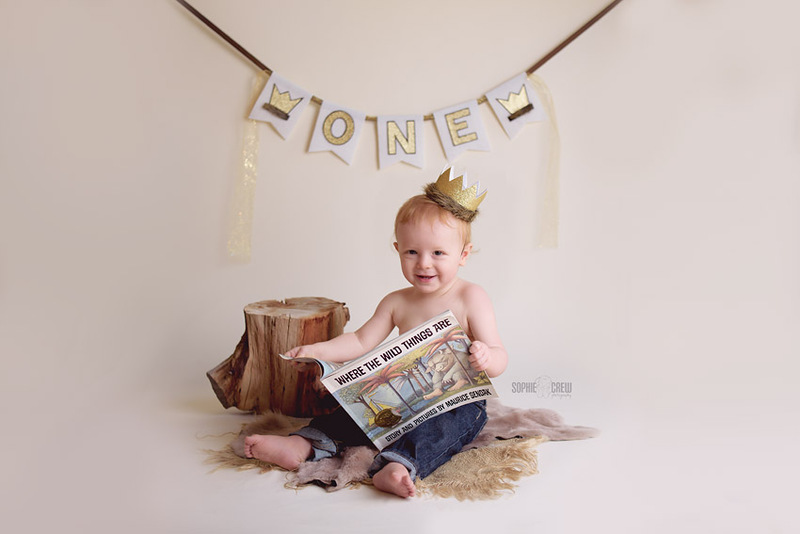 Check out her Etsy store HERE – she has so many cool and unique cake smash banner and crown combos! And what’s even better? She’s local in San Diego (but sells worldwide)! Yeah! 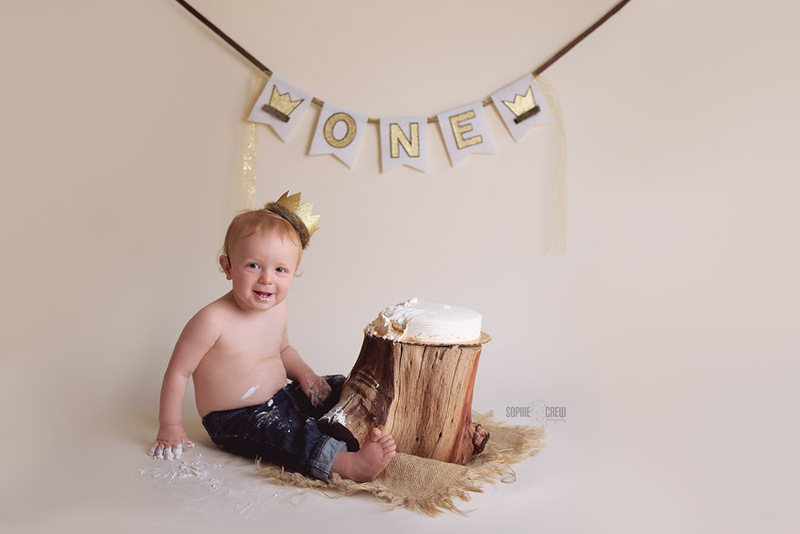 This was such a fun themed session… Here are a few shots from handsome Jacob’s first birthday cake smash session in the studio… enjoy! 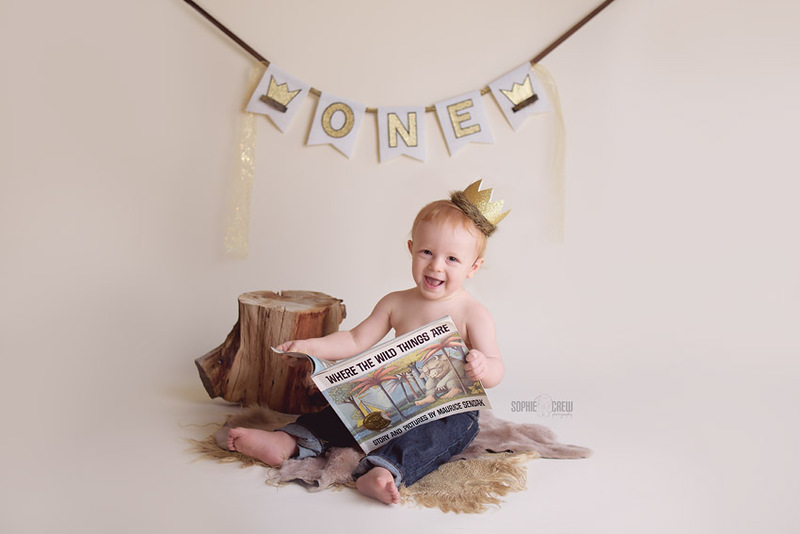 Wanna see little Jacob just one year ago? 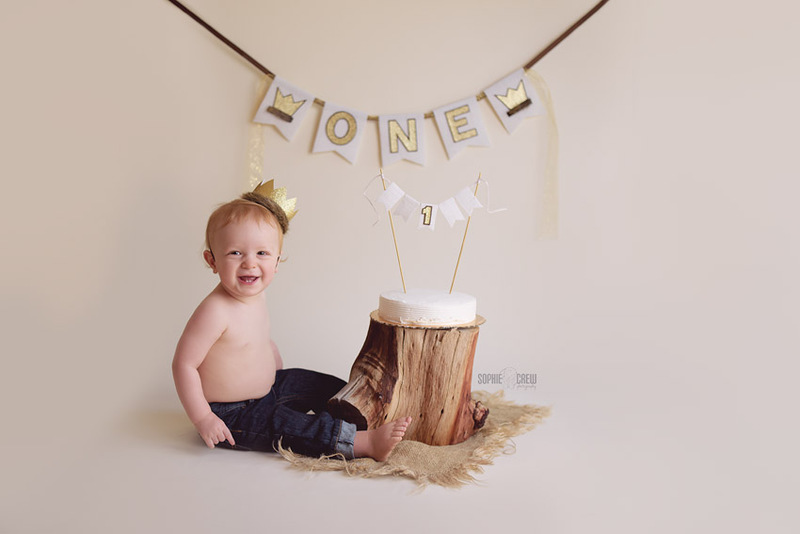 Here is one of my favorite shots of this sweet boy from our newborn session… he has grown so much! 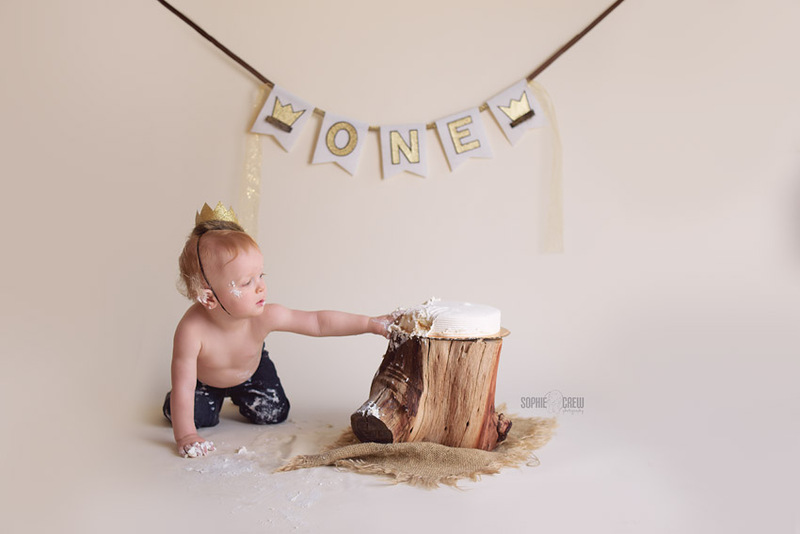 Looking to schedule your little one’s cake smash session for his or her first birthday? Email me at info@sophiecrewphotography.com or click on the website for more information! 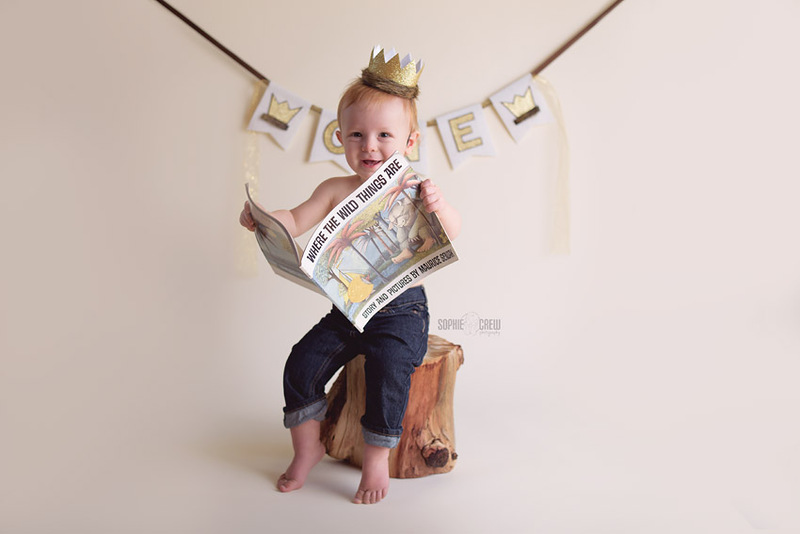 I’m excited for Thursday’s awesome Halloween Mini sessions in the studio! There are still spaces available! 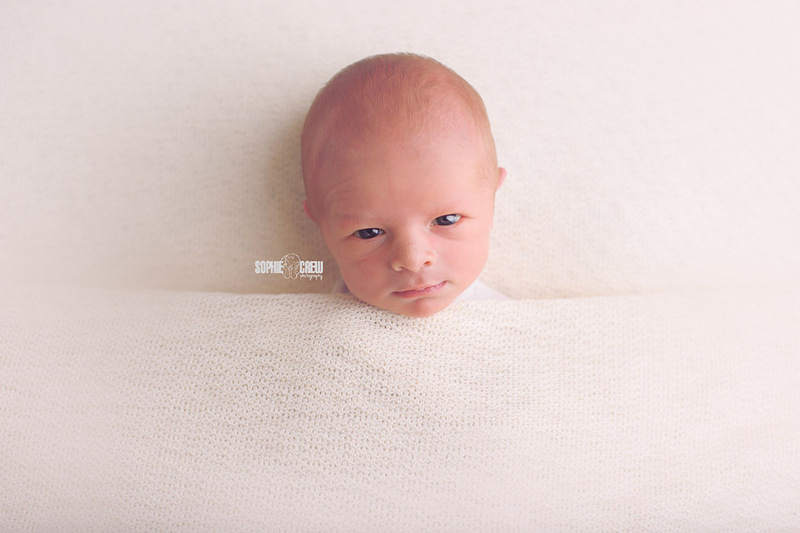 Click here to sign up – these Spook-tacular mini sessions will only be held this Thursday, October 27th.